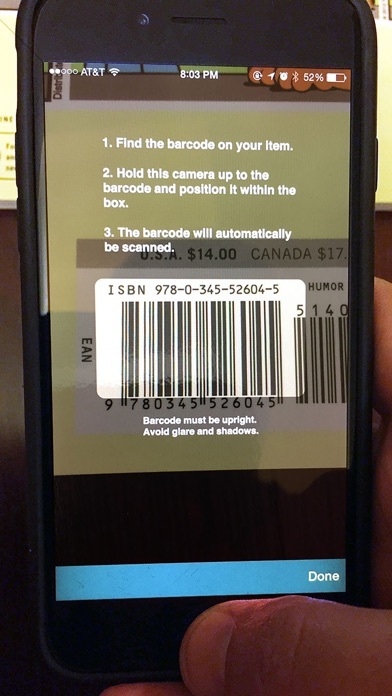 Hooked In Motion has integrated with leading barcode scanning software to create the ultimate book viewers application: iCollect Books. Works with all iPhones, iPods, and iPads, with or without a camera. Catalog every book you own. 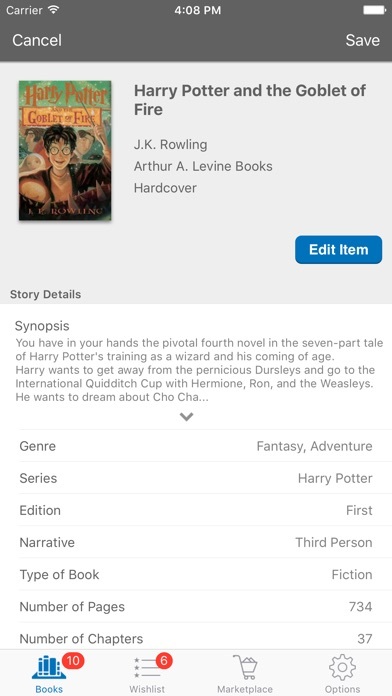 Search right on your iPod/iPhone by author, genre, edition, and more to find the exact book you want to watch at any time, without needing to sift through your physical collection or browse on a computer. - Scan in your books via UPC using the built-in camera. - Manually type in the UPC. - Manual entry with no barcode. - Spiders Google and our own servers for a cover and information about a title. - If no information is present, take your own picture and type in the details and add it to our server for others to use. - Use a picture from anywhere on the web for your covers. - Use a picture from your Photo Library. - Add it to your library. Sort by Fiction, Non-Fiction. 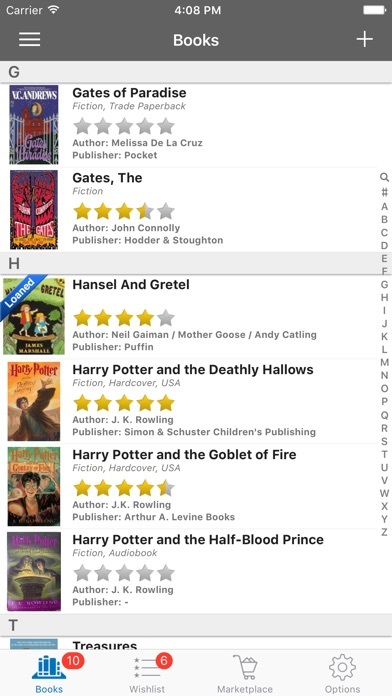 - Tab badges allow you to quickly see how many books you own. 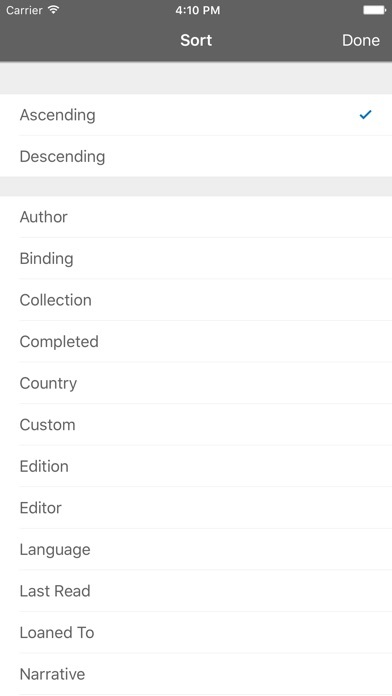 - Sift quickly through your catalog using the index. - Sort without The and A option. - Loan your books out and keep track of who has what using your contacts list or custom entry. 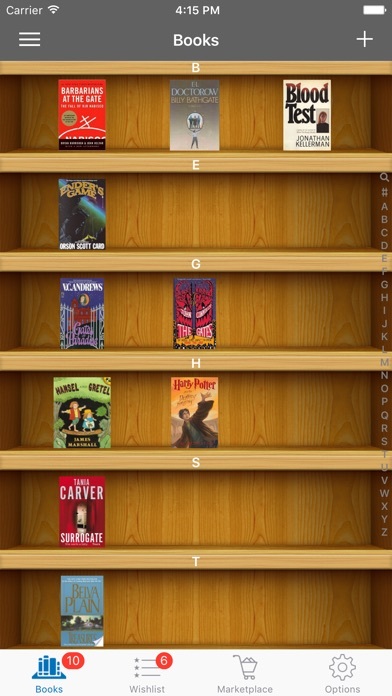 - See books you've never read or read a long time ago using the "Last Read" feature. - Entry for purchased value and date. - Options for Editor, Publisher, Pages, Country, Edition, and more! - Customs which information is displayed in your book cells. - Add a book to a wishlist if you know you want to buy it in the future. - Email out your wishlists to family and friends for holidays and birthdays. - Already ordered a book but don't have it yet? Add it as a preorder. Add the release date as well. - Incredible search capabilities. Browse through your library in a whole new way. Want to see all books you have by J.K. Rowling? Easy. Want to see all of your non-fiction books only? Easy. - Video tutorial for help.